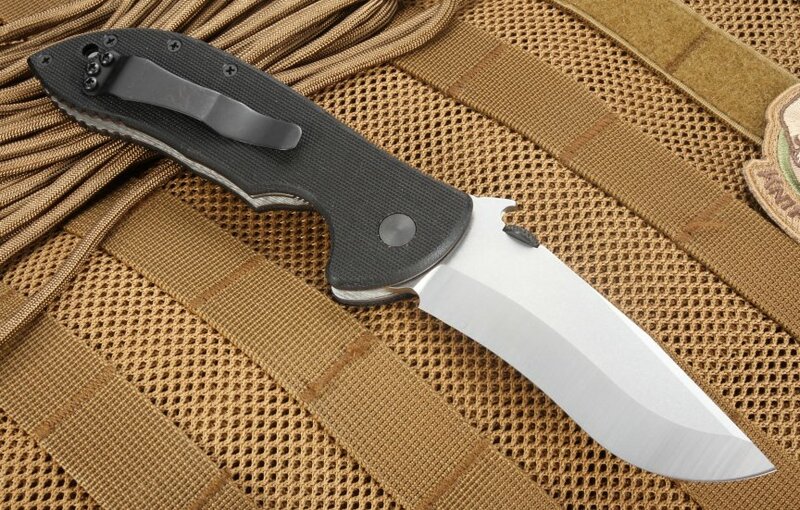 One of Ernest Emerson's most popular knives, the Commander SF is truly a commander among tactical folders. 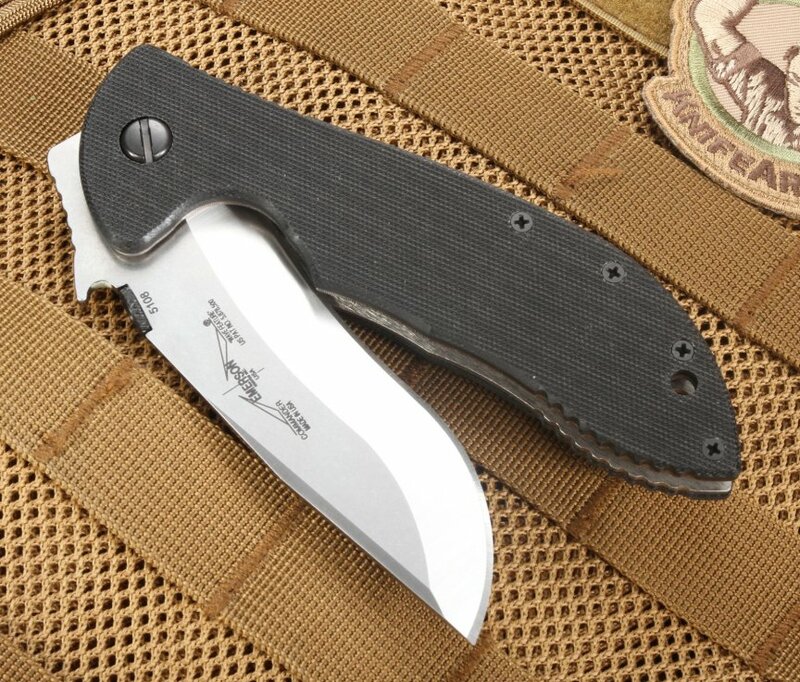 Built for everyday carry and tactical applications, the Commander SF is a durable, sturdy blade that never backs down. The Commander SF's 3.75-inch 154 CM stainless steel blade boasts and RC rating of 57-59, providing an excellent balance between hardness and toughness. 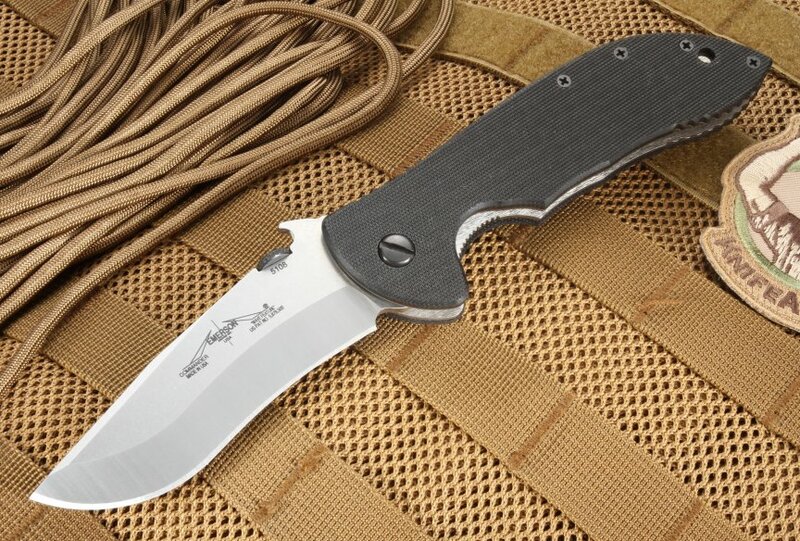 The Commander SF easily sharpens to a razor-like edge and offers exceptional edge retention even over much use. The sleek recurve blade shape is as attractive as it is functional, a blade built for heavy tactical use. The blade is stonewashed and satin finished to provide more resistance to wear and corrosion. 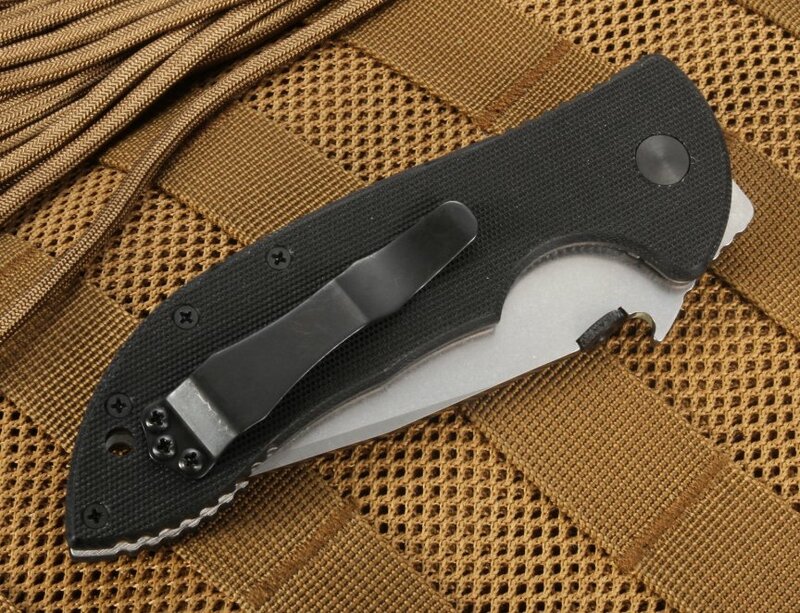 With aerospace-grade titanium liners tucked into the textured black G-10 handle, the Commander SF's handle is as rugged and beastly as its blade. The combination of titanium and G-10 make the handle sturdy and durable, providing an excellent grip and blade control while the knife is in use. The tough titanium liner lock keeps the blade in place without fear of slippage or accidental closing. Featuring both an ambidextrous thumb disc and Emerson's proprietary wave open feature, the Commander SF is ready at a moments' notice. With a sturdy black pocket clip mounted for blade tip-up carry, the Commander SF looks great alongside other tactical everyday carry gear. As an expert martial artist and edged-weapons specialist, Ernest Emerson knows what makes a great tactical blade. His work alongside U.S. military special forces members provides the functional expertise that goes into each of his knives, and his dedication to quality and detail is present in every blade. Emerson's work has been featured in the Metropolitan Museum of Art and the Smithsonian Museum, an exceptional and unique accolade for a knife maker. Emerson knives are all produced in the United States using the highest-quality materials and craftsmanship. 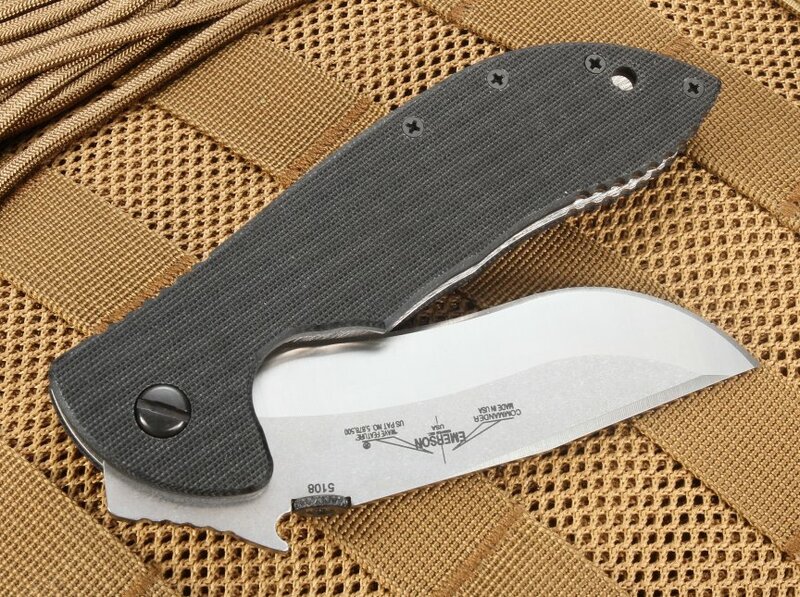 As an authorized Emerson Knives dealer, KnifeArt.com is pleased to offer the Commander SF. Our inventory is backed by our full satisfaction guarantee, hassle-free return policy, and fast, free domestic shipping on orders over $150. Add the Commander SF to your tactical everyday carry rotation today! 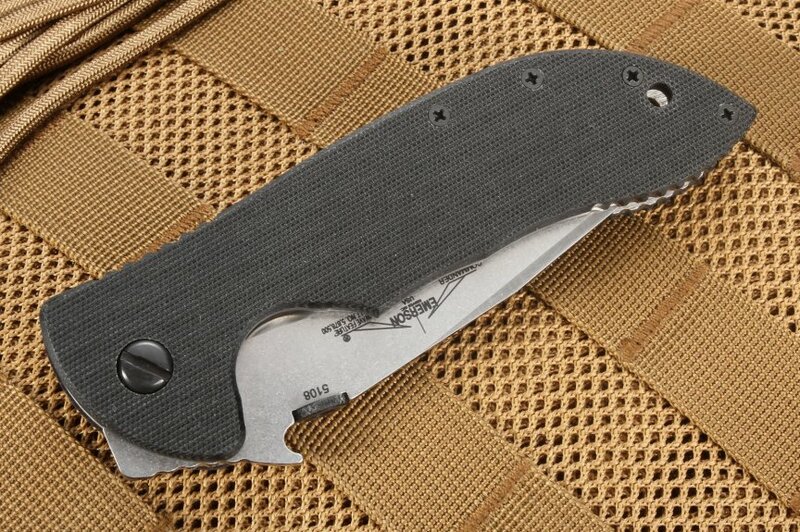 Outstanding knife as one would expect from Emerson knives. Blade is stiff when opening but it just needs to have some break in time. This is not a knife designed to open with the flick of a thumb. It opens slower, but is more secure in its lock up. And the lock up is what matters. Given this was a gift from my daughter (S Gomez) it has that extra special meaning. Service from knife art was the best I have ever had. It shipped Tuesday and I had Thursday morning, all the way to California from Arkansas. Thanks knife art.